ColaLife goes head to head with Prof Nick Spencer of Warwick University on involving multi-nationals in efforts to improve child health. 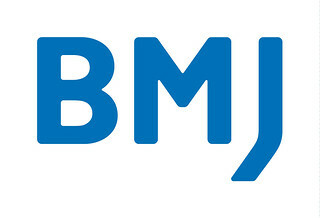 Here is the BMJ’s press release announcing the debate. What do you think? Debate: Should we welcome multinational companies’ connection to projects to improve child health? Partnerships with multinational companies in child health programmes can work to help save lives, write the co-founders of charity ColaLife in The BMJ this week. But an academic argues that connections between multinational companies and child health projects present an ethical minefield. ColaLife, a charity formed by British couple Simon and Jane Berry, worked with Coca-Cola to learn about the distribution channels the company uses in developing countries. With this knowledge, they devised a system to ensure life saving treatments reach children with diarrhoea in remote parts of Zambia. Within a year, their programme sold to community retailers 26,000 Kit Yamoyos, which contain oral rehydration salts (ORS) and zinc treatment for diarrhoea. Treatment rates increased from less than 1% to 45%, a “prize for collaboration”, write the authors. Mean distance to ORS access was reduced from 7.3 km to 2.4 km. Kit Yamoyos are now manufactured in Zambia and cost about $1 from local retailers. “With treatment rates still at less than 1%, diarrhoea is still the second biggest killer of children aged under 5. So, the question is, do we leave them without access to proved treatment? Or do we try something different and manage the risks of the ethical minefield?” they ask. But companies are in business to sell products, not to promote child health, and the connection with multinationals such as Coca-Cola presents an “ethical minefield”, argues Nick Spencer, Professor of Child Health at the University of Warwick, UK. Although Kit Yamoyo has no obvious connection to Coca-Cola at retail level, Spencer argues that the charity provides legitimacy to a company that sells some unhealthy products for huge profit while contributing to the rise of obesity and diabetes. He notes that Coca-Cola is ranked 11th in tax avoidance among some US multinational companies, according to a report by the US Senate published in 2012. ColaLife also counts the alcoholic drinks giant SABMiller, Coke’s bottlers in Zambia, as a partner. SABMiller has been accused of structuring its business to avoid paying tax in Africa, something it completely refutes. If such tax avoidance were to occur in countries like Zambia, Spencer hypothesises, this could lead to a loss of tax revenue that could instead help the government’s distribution of free ORS and zinc and fundamental public health measures such as infrastructure for water and sanitation. Use the ‘Responses’ tab to add your views. We are hoping for a lively debate to bring out all the issues. I dare say that Prof. Nick made his comments in the best possible interest. But the ‘best interest of whom’? 1. Child obesity – If children survive their early years and go on to become ‘obese’, that’s a shame, but at least they survived! a. How many children in Africa between 6yrs and 16yrs are ‘OBESE’. Not as many as western countries, I bet!! 2. Tax avoidance – Tell me how many ‘multi-nationals’ do NOT work hard at reducing their tax liability. Most employ armies of financial advisors, accountants and lawyers to help reduce their tax burden. b. So, do we give up trying to save lives because multi-nationals are prudent, unlike governments? 3. Child LIFE – The most precious commodity we have is LIFE, and a child’s life is the most precious. We would all rather die and give our child the chance of life, so what if a multi-national doesn’t pay it’s fair share of tax, so what if a multi-national produces sugary drinks. We are talking LIFE over tax, profit and obesity. LIFE must come first! What the kids do with the ‘saved’ life later on in their lives, is up to them. What we can do is give them the chance or opportunity to make that choice or decision, which they don’t have when it comes to needlessly suffering from diarrhoea. The above are ‘red herrings’ – If we align with companies which produce sugary drinks and companies who, if legally possible avoid paying tax, so what! How many children’s lives will be saved, thus reducing the burdens of governments, tax payers, charities and other organisations. Sometimes we just have to ‘bite the bullet’. These questions you raise/pose really need to go up onto Facebook and go viral. Nick Spence can afford to retain his principled views. He doesn’t have a child suffering from diarrhoea and no prospect of available, effective treatments. Without intending to be disrespectful I think he needs to ‘get real’. While I don’t condone everything that multi-nationals do I personally have to be pragmatic – and so do we all. If we were to exclude trading/dealing with businesses that had, to some degree or other, questionable or in our opinions undesirable traits our economies (personal and macro) would flounder. We need to work with others to further our own ends (in ColaLife’s case, saving the lives of children) and, in doing so, demonstrate that there are alternative/better ways to do business. We need to nudge the system forward rather than excluding ourselves from it. When we do the latter we simply lose any potential benefits we might receive and most often (and perhaps in the long-term as importantly) lose any opportunity to influence the system, to change it for the better. So Nick, if you read this, why not join ColaLife ‘inside the tent’ and help bring about change from there. That might enable you to have a bigger impact on child health, which I’m sure must be dear to your heart too. Thanks Simon – this is an interesting debate. However, the bottom line is one of real benefits and progress (of the cause) versus perceived PR benefits (to the donor/partner). We live in the interdependent world where we need to work together using each others’ appropriate strengths and assets. We cannot do it all by ourselves. Partnerships are critical – and yes there is a fine line to drawn for authenticity and ‘ethics’. Would I accept support and funds from Coca Cola (given Professor Spencer’s comments)? Or Apple (given their devices contribute to a sedentary lifestyle, poor employment practices in China and significant corporate tax avoidance/evasion)? How about a dictator or war lord (such as The LSE being castigated by accepting funds from Gaddafi’s son)? How about the governments of the UK and USA (for war crimes in Iraq)? SO where do we draw the line Professor Spencer. AND what would be the loss to society and progress if not partnering (with due consideration and diligence, of course) holds us back. I have just had a similar debate on a project we are launching to increase the diversity of qualified board directors. One of our team was adamant that we try and weed out those companies joining us for the PR benefit! Well then that would be a lot of companies then and we would not move forward. Organisations have a primary cause and then other aspects sit around it. I don’t condone the business practices of Coca Cola but the critics should also provide a better way of delivering life saving Zn/ORS, rather than just highlight moral dilemmas and speak about what isn’t acceptable. To me, children dying from diarrhea in the 21st century is unacceptable.